Want it by Wednesday 24th April? Order within 4 days, 20 hours, 1 minute and choose Next Working Day - Kerbside Delivery (Order Must be Placed by 2pm) at checkout. 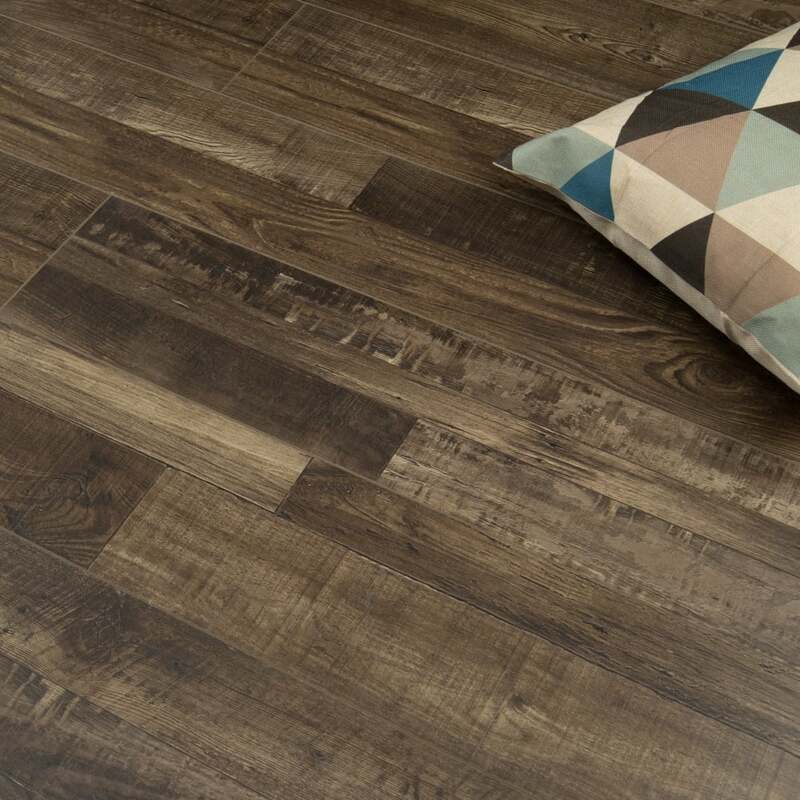 As this floor is 196mm wide and has a click lock fitting system, the installation times will be cut down, so your new floor will be ready for use even quicker! Unlike an engineered or solid wood floor a laminate only needs 48hours to acclimatise so plan your fitter accordingly. These boards are designed to emulate a natural oak and they are distributed with random designs and a mixture of a multi-plank effects. These effect will be randomly distributed in each pack with boards having the multi-plank effect and some boards emulating a single plank. This will more accurately simulate the natural appearance of solid or engineered wood products and add a greater range of variety and definition to each and every installation. Try before you buy - order a FREE sample now! Absolutely stunning laminate! Great quality. Exactly the style we wanted, if you are after a neutral coloured flooring with variation to go with any furniture this floor is definitely a winner! Excellent quality and value flooring product. Seems good quality and very reasonably priced. A little darker than we were looking for but nice sample, good quality.